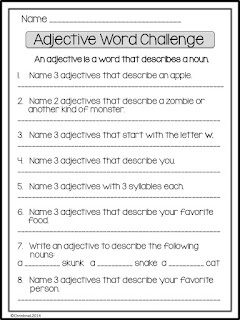 Have some fun reviewing adjectives! Students can work on this individually or in pairs. This is a great activity when you have a little extra time to fill or your kids need a little break (while still learning).